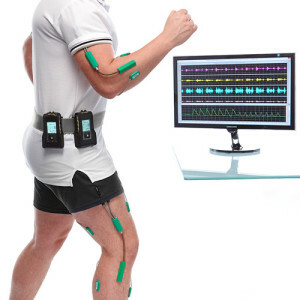 The DataLOG (MWX8) is the latest in data acquisition technology developed to meet the needs of researchers for portable data collection and monitoring in human performance, sports science, medical research, industrial ergonomics, gait laboratories, and educational settings. The small, lightweight, battery operated unit incorporates a color graphics LCD, joystick, micro SD card interface, and a real-time wireless Bluetooth link to a PC. The DataLOG can be worn on the arm or leg in addition to the traditional belt/waist placement. This miniaturized technology is by far the most powerful portable data acquisition device available. During all stages of the design and development process, attention has been given to the Bluetooth® Wireless link, providing real time data transfer and display. In addition, the data is automatically backed up to the Micro SD card providing complete peace of mind. 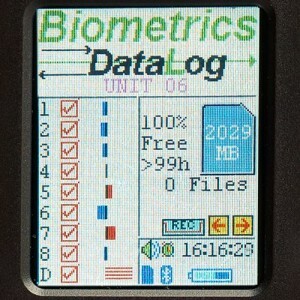 The DataLOG Management Software may simultaneously control up to 3 DataLOG units, giving the researcher the flexibility of up to 24 independent programmable channels. The DataLOG is configured from the host PC using the Bluetooth® wireless link, including simple adjustments per channel for gain, power supply, sampling rate and datum settings. 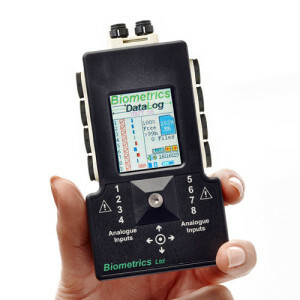 When Biometrics’ sensors are connected these parameters are automatically set using a drop down menu. After configuring from the PC, many operations are carried out using the DataLOG LCD and menu system. The screens are selected by scrolling left or right using the navigation joystick.